Free of his incessant need to feed his ego through controversial statements, Kanye West focuses more on something that he has always been more than competent at - producing - in Kids See Ghosts' debut album. The hip-hop duo comprises West and his long-time protege-turned-close collaborator, Kid Cudi, and their self-titled release packs quite a fair bit of spectral, otherworldly energy in its short, 23-minute run-time. It is the third of five albums, all limited to seven tracks, that West has been putting out every week since late last month. West's production is thrilling and forceful and there is dynamic chemistry between him and Cudi. Both seem to prod each other to even greater heights, melding heavy, constantly mutating beats with kaleidoscopic samples and piercing lines. In 4th Dimension, they take a seemingly innocuous refrain from a 1930s Christmas swing tune, What Will Santa Claus Say by Louis Prima, and morph it into a menacing stomp. West engages in stylised braggadocio (Might need an intervention for this new dimension/That's too new to mention, or fit in a sentence/If I get locked up, I won't finish the sent...), while Cudi offers a raw take on his struggle with depression and drug abuse in the recent past (Such a lost boy, caught up in the darkest I had/What's the cost, boy? Losin' everything that I had). Reborn is a moody meditation on the journey that Cudi has embarked on since checking into rehabilitation in 2016 (At times, wonder my purpose/ Easy then to feel worthless/But, peace is somethin' that starts with me) as West touches on his bipolar condition, just like in his recent album, Ye (I was, off the chain, I was often drained/I was off the meds, I was called insane). Freeee (Ghost Town, Pt. 2) is the sequel to the highlight off Ye. Amid trippy voice modulation and lush vocal harmonies, it sees the duo rise above the criticisms and negativity that have plagued them (Feelin' out of my past life/ Died and came back twice/Now I'm free). Backed by a sample of late Nirvana frontman Kurt Cobain's guitar noodlings from an obscure recording, Cudi Montage features an affecting discourse on the cycle of revenge and violence (Everybody want world peace/'Til your niece get shot in the dome-piece/ Then you go and buy your own piece/Hopin' it'll help you find your own peace). 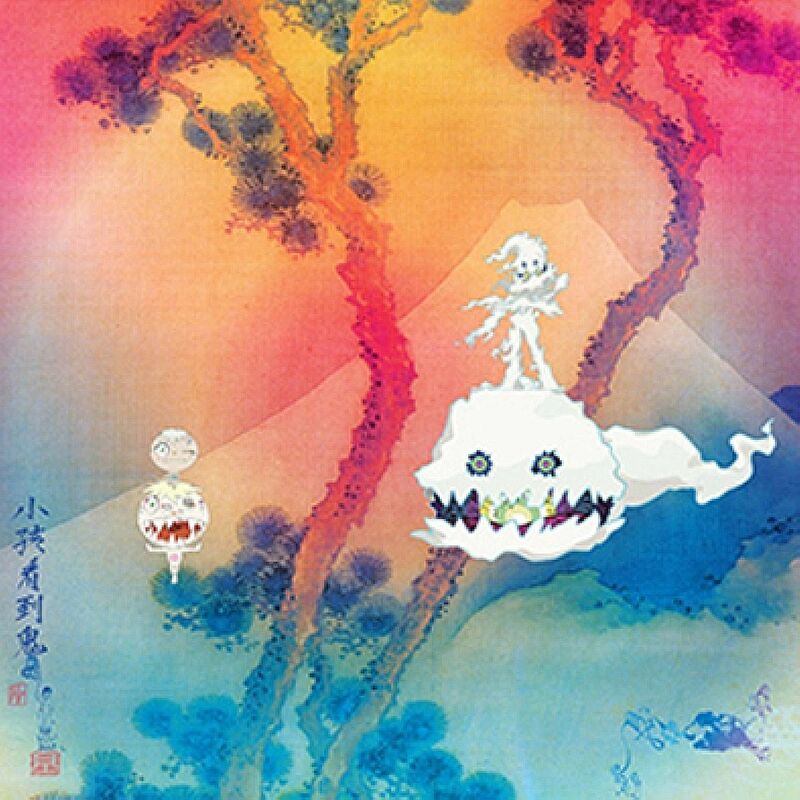 Other top rappers ranging from Yasiin Bey to Pusha T feature on the album, but make no mistake, Kids See Ghosts puts the spotlight squarely on West and Cudi's complementary artistry.